General Walker's primary objective in August of 1950 was to retain a foothold in Korea. From this he intended to launch an attack later when his forces were of sufficient strength. For Korea, 1950 was a year of astonishment, and tragedy. 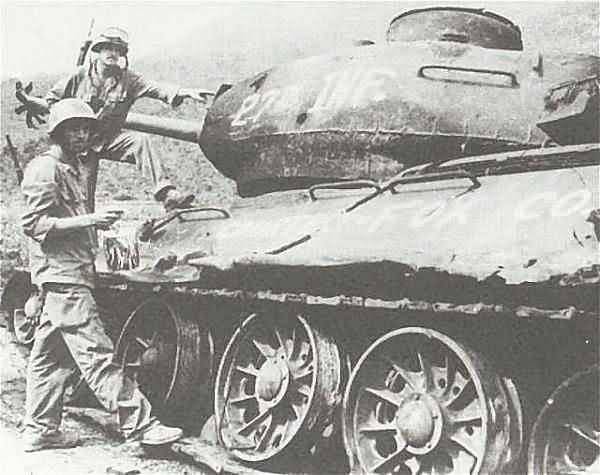 Before daylight on Sunday, June 25, 1950, the North Korea People's Army attacked south across the 38th parallel. Kim Il Sung, the North Korean Premier, had an army 135,000 strong, far superior to that of South Korea. Eight combat-ready divisions with a large reserve force, led by 120 Soviet T34 medium tanks, supported by extensive mobile artillery, and an air force of 180 Soviet fighters and bombers. The Republic of Korea (ROK) Army had only 95,000 men and four combat-ready infantry divisions, supported by a total of eighty-nine 105-mm howitzers, and had no tanks. The North Koreans quickly crushed South Korean defenses, and butchered a path down the peninsula until they were stopped by United Nations forces under General Douglas MacArthur at the Pusan Perimeter. Our embattled forces held at the Perimeter until MacArthur had built up our strength enough to attack at Inchon, far behind North Korean lines, in perhaps the most astonishing amphibious assault of the twentieth century. The enemy was routed, Seoul was recaptured, and Eighth Army struck north across the parallel, with some ROK elements and a few units of X Corps even reaching the Yalu. But, in November, China entered the war in force. Our armies were ambushed, routed, and driven back in the longest retreat in the history of the American Army. 1950 was a year full of astonishment, and tragedy. 1951 was just ahead, with its own full share of both.